The term for a person who believes in fully naturalistic evolution but who also believes in God is “theistic evolutionist”. Terrell Clemmons takes a look at one organization of theistic evolutionists “Biologos”, and makes a distinction between their public statements and the real implications of their public statements. Evolutionary creation is “the view that all life on earth came about by the God-ordained process of evolution with common descent. Evolution is a means by which God providentially achieves his purposes in creation.” This view, also called theistic evolution, has been around since the late nineteenth century, and BioLogos promotes it today in a variety of religious and educational settings. methodological naturalism is a demanding doctrine. The rule does not say “try finding a materialistic cause but keep intelligent design in the mix of live possibilities, in light of what the evidence might show.” Rather, MN tells you that you simply must posit a material or physical cause, whatever the evidence. What this means, according to BioLogos’s own epistemology, is that God is objectively undiscoverable and unknowable—a tenet that sits squarely at odds with Christian orthodoxy, which has for centuries held that God is clearly discernible in the natural world (e.g., Romans 1:20). 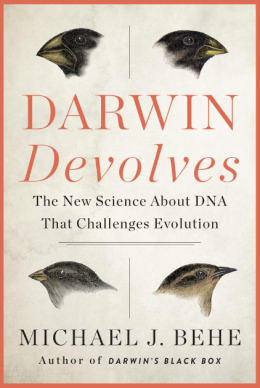 Obviously, this is theologically problematic, but Meyer also points out that theistic evolution faces problems from a scientific standpoint as well, as the technical literature among evolutionary biologists is moving away from the Darwinian mechanism. Whenever I talk to theistic evolutionists, I try to stop them from talking about the Bible or their faith, because that’s not what is interesting to me. I don’t really care about their history as a religious person, or where they go to church, or who their pastor is. When I talk about origins and evolution, I only care about the science. What the ordinary process of scientific inquiry tells us about nature? Does nature have the capacity to create all of the varieties of life without any intelligent agency playing a role? Or, are there parts of nature that are similar to computer programs, blog posts, and term papers, where the best explanation of the effect is an intelligent agent choosing how to arrange the parts to achieve functionality? I don’t accept molecules-to-man unguided evolution. This is not because I start with faith and let faith override the findings of science. It’s because I think that if you look at specific areas of natural history, there is clear evidence of intelligent agency, such as in the origin of life, or the Cambrian explosion. These effects in nature are well-studied and well-understood, and they look much more like the code that a computer scientist (like me) writes than the simplistic “order” created by wind erosion or crystalline patterns or anything the blind forces of nature could produce. Blind forces are observed to make small changes – short or long finch beaks, fruit flies with 4 wings and no balancers, bacterial resistances. What’s also interesting is how often theistic evolutionists drop the theism but keep the evolution. Well, his theistic evolutionary explorations have now terminated. As he reports on his personal blog page, where he took a hiatus of more than five years along with a break from his teaching, he is “happily” no longer a Christian. OK. Now that’s just one case, but what about Howard Van Till, also of Calvin College? In what follows I shall use the term “naturalism,” when unqualified, to represent neither more nor less than the rejection of supernaturalism. Stated positively, naturalism is committed to the belief that all events that occur within this Universe are consistent with and adequately explained by the system of natural causes. This commitment necessarily entails the additional belief that the system of natural causes is fully adequate to account for all events that transpire. Focusing on the issue of the Universe’s formational economy, we can say that naturalism—as here defined -entails the RFEP. He now gives presentations for atheist groups entitled “From Calvinism to Freethought”. Freethought is a euphemism for atheism. Now, for the big three Western monotheistic religions: Christianity, Judaism and Islam. To deny supernaturalism IS to deny the robust theism present in the world’s big three monotheistic religions. Van Till denies theism as commonly understood now. And again, this isn’t because of the science. His heavy handed naturalistic assumption squashed out any kind of serious inquiry into areas like the origin of the universe, the cosmic fine tuning, the origin or life, the Cambrian explosion, biological convergence, so-called junk DNA, deleterious mutations, and so on. Places where you can see that naturalistic forces cannot do the creating that Van Till has faith that they can. And for the record, I am an enthusiastic supporter of the standard Big Bang cosmology, and a 4.5 billion year Earth. My problem with evolution is not Bible-based, it’s science-based. If the science shows the need for intelligent causes, and I think it does, then I think that the naturalists need to adjust their assumptions and pre-suppositions to match the evidence. We have blog posts and computer science code, that’s evidence for a programmer. We have DNA and proteins and sudden origin of body plans, that’s evidence for a programmer, too. Acceptance that nature is a machine running a program set, outside of the space-time of nature, by the Great Programmer is deism, as opposed to theism, which posits additionally that the Great Programmer, at some times and some places, modifies the code, e.g. the Resurrection. Some long-term atheists, i.e. naturalists in the ontological sense, have, by “following the evidence wherever it leads”, accepted deism. Antony Flew is a prime example. Deism has been described as an isthmus between two continents: of naturalism and of theism. I like that metaphor in that, as the flooding waters of knowledge rise, one will have to move to dry land on one or the other. 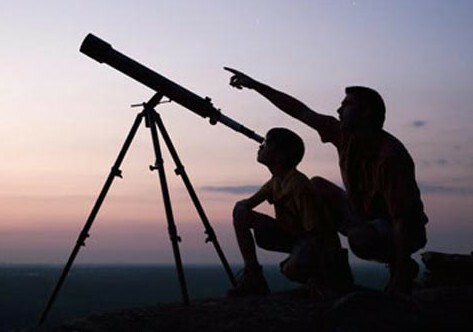 Deism and even the heavily hidden laws of many atheists that aren’t easily found. Such as if life from non life can occur naturally by natural law without any intervention then with all our advanced technology it is only obvious to an unbiased individual that we should be able to create actual life by now. I would say you can be a Christian theistic evolutionist but remember the science journals are never honest in their analysis. A small find is given miraculous ability beyond anything proven. Things in the past we thought were true are being discovered as wrong all the time. I don’t subscribe to a belief in unviersal common Descent must be absolutely true. There is some decent, an evolutionist, I’d even young earth creation believes in descent. Just don’t make claims beyond the evidence without admitting that this is what we believe on this matter. In many cases the intermediate fossils are still debated in evolutions circles and the numbers found are too few to create a tree of life. If we spent more time discovering lineage of things alive we can pull dna from to analyze we could bring many ideas into a modern era.